Mail4Rosey: Brilliant Sky Toys & Books Award Winners Announced! 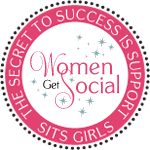 Enter to #WIN One Here! 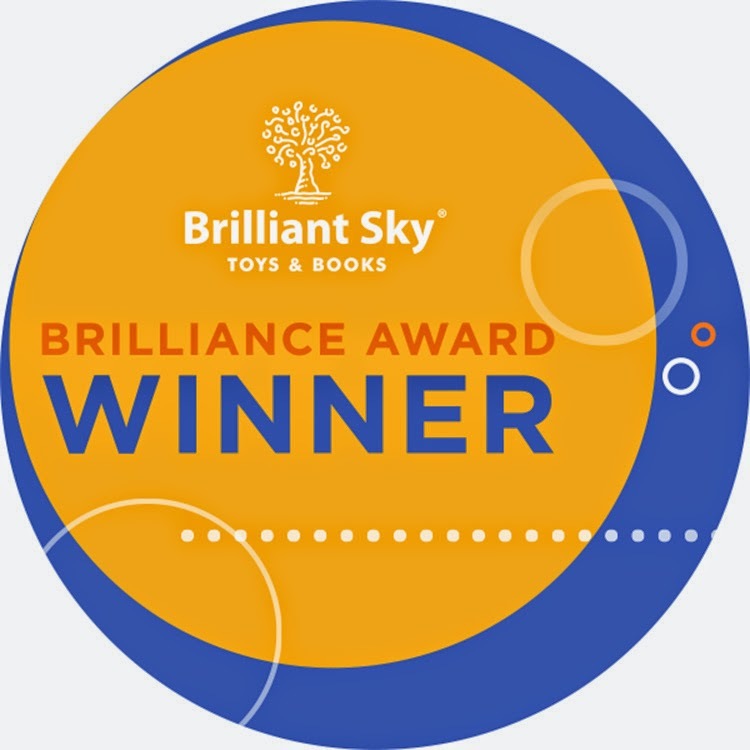 Brilliant Sky Toys & Books Award Winners Announced! Enter to #WIN One Here! Disclosure: I received product compensation to help facilitate the review. All opinions stated are genuine and my own. Brilliant Sky Toys knows that going to the toy store should be more than a visit, it should be an experience! They've got that down pat, and when you walk into one, you'll know exactly what I mean. There's just something comfortable and downright nice about walking into a toy store that has hand selected each of their toys for quality and excellence. Founded over 12 years ago in Lansing, Michigan, and now home-based in Brentwood, Tennessee, Brilliant Sky Toys is a wonderful toy store that lends itself to exploration, ingenuity, and fun via the 10,000 carefully selected toys on its various store shelves. Each year, they compile a list of their top-ten toys that they feel deserve special recognition. This list is a great shopping resource for parents, grandparents, etc., and it's fun to see what toys were chosen. The criteria for the top-ten list is threefold. First, the toy/book must encourage open-ended play; second, it must be designed to fascinate and delight your little ones; and third, it has to be high quality. 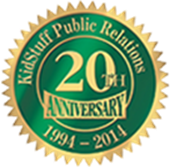 the importance of high value toys that encourage family (learning &) fun. 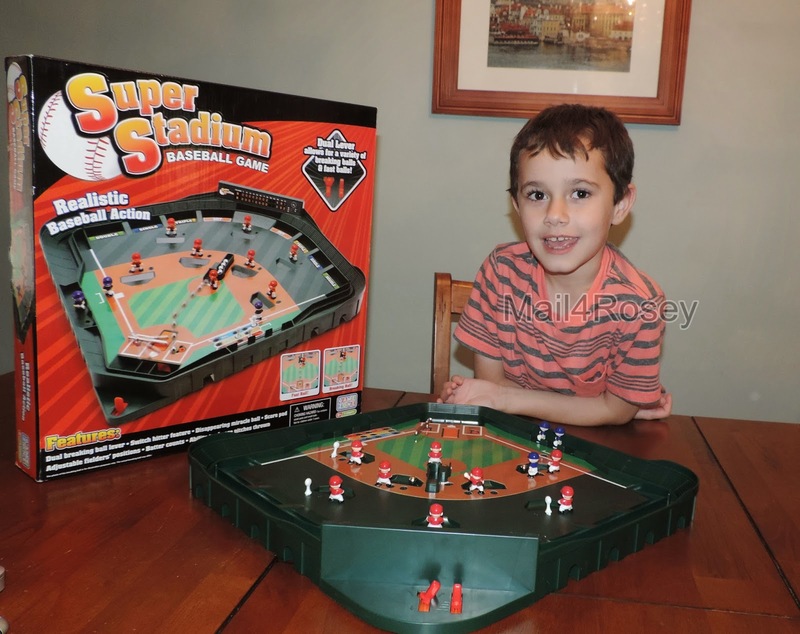 One of the toys that made it to the list was the Super Stadium Baseball Game. Think: Old School fun. Games like this were engaging to us as children, and they helped us create happy memories of spending time with others in our circle of family and friends. Those kinds of childhood memories just stick, in a good way. 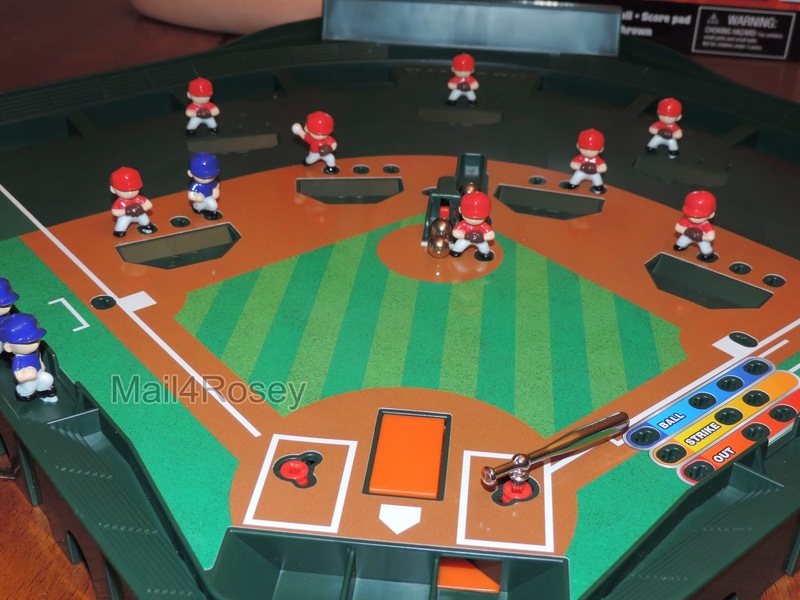 The Super Stadium Baseball Game replicates a real playing field. You don't have to have technology to have fun, and this game proves it. It is a simple pull-the-lever , pitch & bat game, and my 7-year old loves it. There are realistic game positions for the players, and you keep score. This one was such a delight to my youngest, that I just left it out on the table (for awhile, I'll put it in its box with the other games where it should be, sooner or later). Now the first thing my crew wants to do in the morning, while waiting for their breakfast, is play around with the game sitting on the table. I love that, it does my heart good to see the kids just being kids. That's the kind of experiences Brilliant Sky Toys wants to bring to your family, and with this game, for our family, they hit a bona fide home run. The Super Stadium Baseball Game, and all of the selections for this year's award, are surprisingly (and hurrah for it!) low-tech, but they're all equally fun in their own way. One of the stories in the Illustrated Adventure Stories is The Count of Monte Cristo. I'd love to pick that up for my son for Christmas, that's a story he has not yet heard that I think he would love! As you can see from the list above, the winners all have something wonderful about them in their own right. We loved our baseball game selection, and will be heading to Brilliant Sky Toys and Books store before the holidays hit to do more shopping. You can learn more about Brilliant Sky Toys & Books by visiting their website. To help you be a part of the toy experience offered in their stores, one lucky winner gets to pick any one of the ten award winners for this year (pictured above). Do you have a favorite? US Entrants only. NO WAY! My guy would LOVE that so much. They are both so into baseball. I love the low tech toys and kids love them just as much as any other toy! The classics are the best! My son would be WAY into that! HE loves baseball! That's a prerequisite for me too - it has to be open-ended. I'm all about creativity and imagination. This is a fun one! What a fun giveaway! I'm sure someones child would love to win one this. We love shopping small toy stores, you can find so much more than at your local mega toy store. Stuff that you never knew existed - like this! My kids would have loved this when they were younger! I will pass on information about this to my brother for his kids. Thanks! I think shopping the local stores is such a great idea. You help out the community and never know what you'll find. That looks like more interesting items than the big stores have. 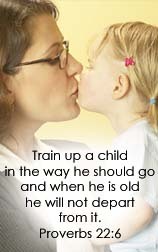 I will have to look into this for my son! That looks really fun. I want to play baseball, too! Those look like really fun, interactive toys that they kids would love! Low tech toys are the greatest for getting childrens imaginations in high gear. I will not be purchasing toys for a few more years (my grand niece is only 6 months old)-but I will surely remember this place when she is ready. I love to shop local stores .. we don't have a Brilliant Sky in our town but I need to check and see if there is one in Cleveland or Pittsburgh. I would have liked that when i was a kid.. looks like so much fun! That looks like something my nephew would love! He's all about baseball right now. That's a cool game! I know my baseball loving family would love it. What a great way to get kids thinking! That looks like a fun one indeed. Surely don't need technology to have fun. That stadium is neat! And I love that the winner gets to CHOOSE their prize - great giveaway! This says it all... The criteria for the top-ten list is threefold. First, the toy/book must encourage open-ended play; second, it must be designed to fascinate and delight your little ones; and third, it has to be high quality. Oh my gosh - This is SO COOL! Great giveaway! My son would love that! It looks like they have a lot of really creative games. Wow my cousins would love this! Even the simple toys can give you loads of fun with imagination. The super stadium looks so cool. Brilliant Sky Toys is great! I think creative toys and books are always the best choice for children. They need to work those noggins. What a cute game! Looks like a great gift. I bet Allison would love the Sew Cute sets. She is really wanting to learn to sew, so that toy would pique her interest! My kids would love that game. I think my niece and nephews though could burn through most of those great educational and entertaining toys. I'm definitely going to have to check them out. I love toys that don't rely on technology or aren't entirely technology dependent. Nothing like kid creative power. There isn't a store close to me. It is over 2 hours away. That's an awesome toy---great for baseball fans! My kids would love this game. Will check out their website. I'm always in need of birthday gifts for kids. The closest store is in GA but Im always up for a roadtrip! What a fun toy. I have to admit, I am not a bit fan of baseball but this looks kinda fun. I actually have Doodle Quest, on the list. It's such a fun game! Much more challenging than it looks at first glance. So true, you don't have to have technology to have fun. The baseball game looks awesome. My son would like it. This looks like a super cute game! My family and I love playing games together. I love bookstores that have toys to. Most of the time they are more creative toys than you'd see at a place like Toys R Us. I love that this provides kids with alternative ways to have fun without the use of technology. It taps into their creativity. I remember, my son ussd to have a toy stadium like that. It was so much fun! My husband had a baseball game like that when he was growing up. This one looks a little nicer but he is always talking about how much fun it was. This is an awesome way to spend a Friday night. I don't have any little one's any longer. I'm going to pass this around to my network. Thanks for a cool toy review. I love games that encourage open ended fun. The best games don't seem to involve technology at all! My son will enjoy these toys. Good luck to everyone joining the giveaway! That sounds like such a great giveaway. Kids really like that too. Shopping local stores would be cool, but we probably don't have them. I'd love the baseball game for my nephew. I was right. The closest store is in Nashville. Brilliant Sky Toys sounds like a fun and interesting one for kids. I should give a try on these for my kids. I like the giveaway offer, as it allows the winner to choose the product they want. I love the castle and this is the one I would buy. There is not a store near me. I would have to purchase from them online. These would make great Christmas gifts. Great contest i know my kids would have loved this when they were little. The games look like a lot of fun as well as the toys. The books also look very interesting. Thanks for sharing. I'm liking the baseball game but ultimately son would decide. We live in a small town so I really enjoy shopping at the local stores. I think they have so much more to offer. 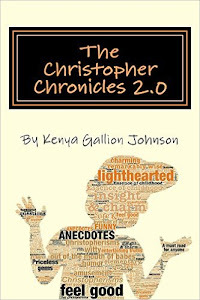 I think that My Own Storybook would make a fun gift for a budding writer. I love shopping at local stores! My kids would love Super Stadium game! Unfortunately we don't have any stores in Ohio. Looks like they have some great toys! I love shopping local. We find really interesting things that way. i prefer to shop at local stores instead of mass retailers. they tend to have better quality items. The super stadium looks like a ton of fun. I've seen these before and always thought they looked like a lot of fun!! We have a few great toy shops! I will have to remember to check them with doing holiday shopping this year! That super stadium looks like a ton of fun for kids. I can think of my cousins who would love it! Oh wow love the look of the toys. I've never heard of Brilliant Sky Toys and Books. Love that some of their award winners are low tech games. Glad your son likes this bball game. Looks like fun! I love shopping local stores. Their toys look fantastic! My son would have absolutely loved that baseball game. I like toys that are low tech and inspire creativity. I know a few children that would love this toy because they are huge baseball fans! I have never heard of this company so I will be visiting their website. It is near my cousin's - is that close enough? :) I don't see many west coast locations either. These toys look super cool! My kiddos would love this. Looks really fun and easy to play! Oh my GOSH! My son would LOVE this! He is a baseball freak and my goodness... I just have to get it! I haven't heard of this company before. Sounds like a fun toy for the kids! I do like to shop local stores. We have a store here called The Afternoon, and another called City Limits. I like both of them. There's a few toys from the list I know Isaak would like. I'm thinking the paint your own ceramic bowls. The closest one to me is in Urbandale, IA. That looks very fun! Thank you for the chance to win! What a cute game. It would make a great gift for a little boy I know. I love that they hand pick their toys for the store. You know you're getting kid approved ones! Now this would be something for fun! These are the kinds of toys kids need! This looks so fun! With Broxton getting into baseball, I would love to get this for him! I wish we had a place like this near us to go check out!! We will have to go check it out soon!!! The Fairytale book looks great! My son is a little old for these, but it's always interesting to see how toys have changed over the years. I've always encouraged my son to choose the more educational games. He actually enjoys scrabble these days. I love shopping at the local toy store. They stock lots of great toys like these. 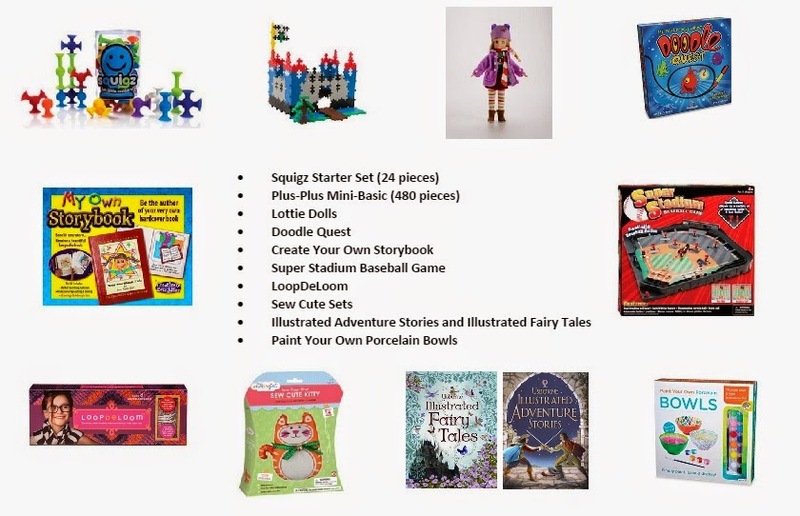 My daughter would love the Storybook kit, the sewing kit or the any of the craft kits. 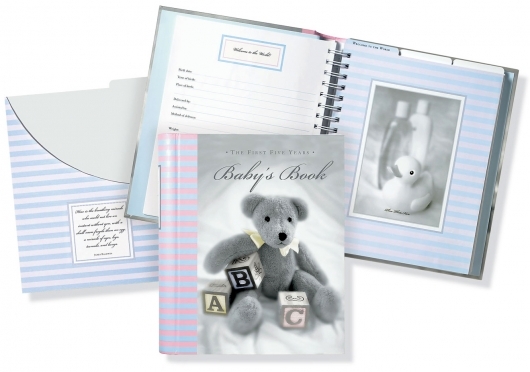 I think the Create Your Own Storybook toy looks adorable! What a cool toy! I bet my girls would enjoy it! I like to support small local businesses. I like the paint your own porcelain bowls. I'm not sure if I've heard of this company before, it kind of sounds familiar. I love that baseball field, my hubby would love that. Ooops, I mean my son haha. Id pick the Lottie doll or doodle quest. I didnt see any stores in Ohio. An awesome toy there! I bet the little man enjoyed having this one! I like the sew cute doll and lottie dolls, they have a store a few towns over, if I'm over there, I'll have to check it out. Oh I really love the Super Stadium Baseball Game! Carter would love that! We dont have any in our state, but we do have one that is on the way to relatives house! Will have to stop there next time we go! I like to shop and support small and local businesses. The Paint Your Own Porcelain Bowls kit would be well-liked by my niece. Thanks. I love to shop my small local businesses. We have some really great ones! My daughter would love the Lottie Doll. I love to shop in our local stores, but we don't have many to choose from! We live in Northern Wisconsin in a tiny town with a population of less than 600. I support our few businesses :) My daughters would LOVE a Lottie Doll and our son would really be into the Illustrated Adventure Stories. I love to shop local stores. They tend to have neat items that big stores don't. My kids would love the paint your own bowl set. there's one about 2 1/2 hours away from us in Charlotte. We usually go to Charlotte each summer so we will definitely check it out next time! The Super Stadium is my favorite. My son is a huge Yankees fan and he would have so much fun. We don't have any local stores but even when we go to the city I love to shop at the little shops. The Sew Cute set is my favorite. My granddaughter would love it! 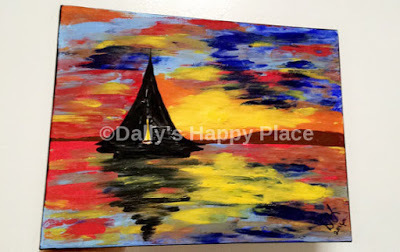 I would love to win the paint your bowls set. The stores are about 3 towns over, once and while I am in that area though so perhaps I'll stop in. I love local toy stores because they have interesting, quality toys and people who know about them. I'd choose the baseball game. No, there is not a Brilliant Sky store nearby. I like the Plus Plus Mini Basic Set. I love shopping stores like this but do not have one close by. I think my son would love the Squigz starter set - he loves to build things! Unfortunately there are no stores near by in the pacific northwest. I prefer shopping local shops. My son would love the Super Stadium Baseball Game the best. I would love to shop at one of their toy stores but the closest one to me is two hours away. I like the Fairy Tale book, my daughter would love it. I love the Lottie dolls. The nearest store is 3 hours away. Yes, I like shops like this. 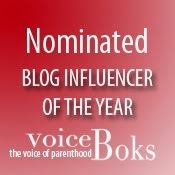 I would love to win the Illustrated Adventure Stories and Illistrated Fairy Tales. I like the paint your own porcelain bowls! The fairy Tale book looks lovely. No stores in my state.